You are here: Home / NLP / (Video) What Is NLP? The meaning of a communication is the response one gets. ​The map is not the territory. Law of Requisite Variety: In any cybernetic system, the element or person with the widest range of behaviors, variability, or choice will control the system. ​Present behavior represents the best choice available to that person. Behavior is to be evaluated and appreciated or changed as appropriate in the context presented. People have all of the resources they need to make the changes they want. ​The highest quality information about other people is behavioral. ​It is useful to make a distinction between behavior and self. There is no such thing as failure, there is only feedback. 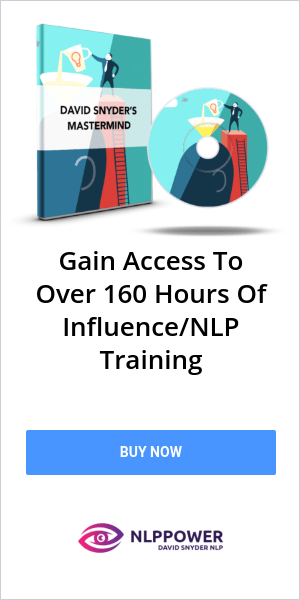 What Is NLP Operational Principles? Have sufficient flexibility of behavior so that you can vary your behavior until you get your desired outcome. What Is NLP Well-Formed Outcome? Must be testable and demonstrable in sensory experience. Must be initiated and maintained by the subject. Must be appropriately and explicitly contextualized. Should preserve any positive product of the present state. What Is NLP Eye-Accessing Cues? What Is NLP Perceptual Positions? 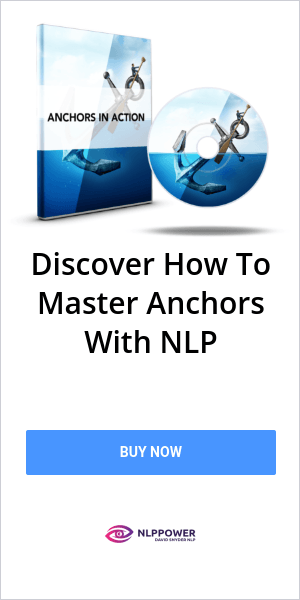 What Is NLP Logical Levels? 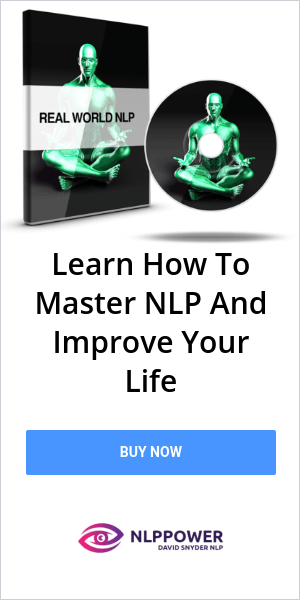 NLP, which is short for Neurolinguistic Programming, is a field that emerged in the 1970s, co-created by Richard Bandler and John Grinder. Since its inception, it has spread across every continent and has changed the lives of countless individuals. Neuro: refers to how we process our experiences through our five senses (visual, auditory, kinesthetic, olfactory and gustatory) and language. Linguistic: Refers to language and non-verbal symbol systems which we use to give meaning to our neural representations. Programming: The act of creating systematic responses. For the purpose of this blog post, we are going to use Richard Bandler's definition as a model for how we approach understanding NLP. As he put it, it's an "attitude, backed by a methodology, that leaves behind a trail of techniques", so we'll start with attitude. Speaking of attitude, Richard Bandler is considered to be a living embodiment of having the NLP attitude. There is an concept within NLP called the "Law of Requisite Variety" which states that the person with the greatest degree of flexibility will control the system. To put it another way, it's also known as Behaivioral Flexibility. The more flexible you are in your responses, the greater control that you have in any situation. Those last 2 slides give us a fairly good idea of what the proper NLP attitude looks like, but we're going to drill a little bit deeper and talk about the elements of attitude. Congruency - When your words and actions correspond with one another. Competence - To possess a wide range of skill or ability. Confidence - ​Belief in the effectiveness of one's own ability. Creativity - The ability to create meaningful new forms. ​Concern - Regard for or interest in someone or something. Care - Close attention, as in doing something well or avoiding harm. ​Commitment - The state of being emotionally or intellectually devoted, as to a belief, a course of action, or another person. Curiosity - ​A desire to know or learn. Clarity - Clearness of thought or style. Consequences - ​Something that logically or naturally follows from an action or condition. Ecology - The dynamic balance of elements in any system. A concern for the overall relationship between a being and its environment. ​Integration - To bring separate things together in a cohesive unity. I bet you didn't realize that the "NLP Attitude" had so many layers and dimensions to it. ​But without the right attitude, none of this stuff will work for you in a way that's reliable. Which is why I'm spending so much time on it so you can truly absorb this information. Even if you were to develop just a handful of these traits, you would be much further along than the average person. So, I challenge you to pick 3 or 4 of these traits and over the next 90 days, look for ways to develop them and exercise them. NLP Presuppositions are useful perceptual filters for viewing the world. They're neither true nor false. But, if you were to adopt these presuppositions "as if" it was true, it can produce dramatic changes in how you view the world and how you relate to other people. In communication it's usually assumed that one is transferring information to another person. One has information which "means" something to them and intends that the other person understand what it is that they intend to communicate. Frequently one assumes that if they "say what they mean to say," then their responsibility for the communication is over. If you want to be an effective communicator, you must realize that your responsibility does not end when they finish talking. For practical purposes, what you communicate is what the other person thinks you say and not what you intend to say. Often the two are quite different. In communication it is what the other person thinks that one says and how they respond to it that is important. This requires that you pay attention to the response that you are getting. If this is not the response that they want, then you need to change your communication until you get the desired response. ​Good communicators realize that the representations which they use to organize their experience of the world is not the same as the world. It is important to distinguish between several semantic levels. The first semantic level is the external world. The second semantic level is one`s experience of the world. This experience is one`s "map" or "model" of the world and is different for each person. Each person creates a unique model of the world and thus lives in a somewhat different reality than anyone else. One does not operate directly on the world but on one`s experience of it. This experience may or may not be correct. To the extent that one`s experience has a similar structure with the world it is correct and this accounts for its usefulness. One's model of the world determines how one will perceive the world and what choices one will see as available to them. Many NLP techniques involve changing one`s model of the world to make it more useful and to bring it more in line with the way the world actually is. ​Language is a third semantic level after the external world and one's representation of the world, respectively. Language is not experience but a representation of experience.Words are merely arbitrary tokens used to represent things one sees, hears or feels. People who speak other languages use different words to represent the same things that English speakers see, hear or feel. Also, since each person has a unique set of things that they have seen, heard and felt in their lives, their words have different meanings to each of them. To the degree that these meanings are similar people are able to communicate effectively. When there are more differences than similarities, then problems begin to arise. We can use language patterns like the "Sleight of Mouth" model to help us speak more concise as well as create positive change in others. ​Mind and body both refer to aspects of the same "whole" or "gestalt". They act as one and they influence each other in such a way that there is no separation. Anything that happens in one part of a cybernetic system like a human being will effect all other parts of the system. This means that what you think affects how you feel and that the condition of your physical body effects how you think. Your perceptual input, internal thought process, emotional process,physiological response and behavioral output all occur both simultaneously and through time. In practical terms this means that you can change how you think by either directly changing how you think or by changing your physiology or feelings. ​Control in human systems refers to the ability to influence the quality of one's own and other people's experience in the moment and through time. The person with the greatest flexibility of behavior, i.e.number of ways of interacting, will control that system. Choice is always preferable to no choice and more choice is always preferable to less choice. Note: Have you registered for the 3-day masterclass? ﻿﻿Click here to find out more. ​One's behavior is determined by the context in which that behavior originates. One's reality is defined by one's perceptions of the world. The behavior that one exhibits is appropriate to their reality. All of one's behavior whether good or bad is an adaptation. Everything is useful in some context.All behavior is, or was, adaptive given the context in which it was learned. In another context it may not be appropriate. Under every behavior lies a positive intent. When you take into account who a person is, based on all of their life experiences and the choices that they are aware of, they make the best choice available to them at any moment in time. If they are given a better choice, they will take it. In order to change someone's inappropriate behavior it is necessary to give them other choices. Once this is done they will behave accordingly. Neuro-Linguistic Programming has techniques for providingadditional choices. Also, in Neuro-Linguistic Programming one never takes away choices from their clients, nor anyone else for that matter. One only provides more choices and explicitly contextualizes the existing choices. We need to evaluate other people's behavior in terms of what they are capable of becoming. One needs to strive to be all they are capable of being. ​The task is to locate or access those resources and to make them available in the appropriate context. Neuro-Linguistic Programming provides techniques to accomplish this task. What this means is that in practice people do not need to waste time trying to gain insight into their problems or in developing resources to deal with their problems. They already have all the resources which they need to deal with their problems. All that is necessary is to access these resources and transfer them to the current time frame. ​If any other human being is capable of performing some behavior then it is possible for you to also perform it. The process of determining "how" they do it is called "modeling" and is the process by which Neuro-Linguistic Programming came into being in the first place. ​Listen to what people say but pay more attention to what they do. If there is any contradiction between the two, then rely on the behavior. Just because one "screws up" on something, does not mean that they are a "screw up." Behavior is what a person says, does or feels at any moment in time. This does not equate to one's self. A person's self is greater than their behaviors. ​It is much more valuable to view one's experience in terms of a learning frame than in terms of a failure frame. If a person does not succeed in something, this does not mean that they have failed. It just means that they have discovered one way not to do that particular thing. One then needs to vary their behavior until they find a way to succeed. ​The 4 operational principles is what NLP is based upon to create effective and meaningful change in 0thers. They are the bedrock upon which changework is possible. If you don't know where you're going, then anywhere will get you there. Most people never get anywhere worthwhile because they haven't gotten clear on where they want to go. ​As a person that practices NLP, you must develop high sensory acuity towards yourself and working with other people. One of the skills you develop as a NLP Practitioner is the ability to "calibrate" or read other people. This is done by paying attention to ​changes in muscle tonus, skin color, skin shininess, lower lip size and breathing rate and location. These factors and others are used to assess whether or not you are getting closer or further to your desired outcome. This principle is further supported by the presupposition of the "Law of Requisite Variety". As an NLP Practitioner, your must maintain a high degree of behavioral flexibility in order to effectively work with other people. Note: Do you want to become more powerful, creative and influential in life and business? Then register for the 3-day masterclass by clicking here. If we want things to happen, then we must be willing to take action in the present. Forward movement is how we progress towards our goals, and based upon the feedback we get, we vary our behavior accordingly until we get the desired outcome. ​NLP's first operational principle is to know your outcome. And in order to do that, we go through a 7-point checklist to ensure that our outcome is as specific as possible. ​Outcomes must be things that are capable of being satisfied. It is both logically and practically impossible to get the negation of an experience, or of anything else. We cannot engage in the process of "not doing", "not having", or "not becoming". ​There must be an evidence procedure.Unless this is the case there is no way to measure progress toward the achievement of the outcome. Without an evidence procedure for the outcome it is possible to determine if one is making progress toward achieving the outcome or not. ​One must be able to say what onewould look like, sound like and feel like if one achieved the outcome. ​The locus of control and responsibility for achieving the outcome must be with the subject and not with someone else. It is not a well-formed outcome if someone else has to do something or change in some way. All one can do is have as an outcome that one change them self or their behavior so as to bring about a change in someone else. Outcomes must not be stated as universals. One must never want something either "all the time" or "never," but only under specific circumstances. In Neuro-Linguistic Programming, one always strives to create more choice and never to take away choice or reduce the number of possible responses. The goal instead is to make the choices or responses available in the appropriate circumstances. If not, symptom substitution may occur. Symptom Substitution is when a repressed impulse indirectly manifests in the form of a seemingly unrelated symptom. ​One should consider the consequences for oneself and for other people and not pursue outcomes that lead to harm to oneself or other people. The NLP Communication Model breaks down exactly how experience gets transferred and encoded from the outside environment to the inside environment. According to the model, we have an external event that is occuring in our environment. After the event passes through our senses and before we make an internal representation of that event, we filter the event through our internal processing filters. Our internal processing filters are how we delete, distort and generalize the information that's around us. In NLP, deletion means to omit or overlook certain sensory information. Distortion is when we shifts in our experience of sensory data by deliberately misrepresenting reality. For example, if you were to see a snake out of the corner of your eye and upon closer inspection, you come to find out it was just a rope. In a sense, your brain distorted reality by making you see something that wasn't there. Generalization is what occurs when we draw global conclusions based on a few experiences. Eye-accessing cues are involuntary eye movements that are used to determine the representation system that a person is accessing. NLP Patterns are structured processes that are used to change unwanted behaviors and create rapid change. They empower people to "run their own brains " and construct subjective realities that enhance how they function. Anchoring works off of the same principles that Pavlov's dog experiment employs. For those of you who haven't heard of this experiment, Pavlov conducted an experiment where he would ring a bell each time he brought out food. After doing this several times, Pavlov rang the bell even though he hadn't brought out any food yet. Because the dogs were conditioned to associate the bell with the bringing of food, the dogs responded to the bell in the same way they would have responded if there was food present. ​In short, the dogs started salivating. Perceptual positions help you step back from your own "model of the world" and gain valuable insights from looking at a situation in different perspectives. First position: How a situation appears to ourselves, in a way that matters to us. Second position: How a siutation appears to the other person in a way that matters to them. Third position: How a situation appears to an outside observer. When we utilize all 3 perceptual positions, we have a much clearer picture on any given situation and can approach it with the most wholesome understanding. Logical levels is an invaluable tool for organizing our thinking, especically when it comes to doing changework with clients. Logical levels allows us to figure out where a person's difficult lies, which makes it that much easier to go about fixing it. Environment - Negative responses to the external world. Behavior - Adopting inappropriate physiology and/or actions. Capabilities - . The level of innate capabilities and learned skills which you have for dealing with life situations - and how effectively you use them. Beliefs/Values - Refers to the things that you believe are possible or impossible. Also refers to the standards that you hold yourself to and how it helps or hinders your development. Identity - Refers to your self-esteem level as well as how you interpret events in terms of your own self-worth. Mission - ​Refers to where you're going in your life and your overall objective. This may also include the people you're going with as well as the places and activities that are central to this vision.